Tokyo's much-heralded Tsuta heads to Singapore this October. 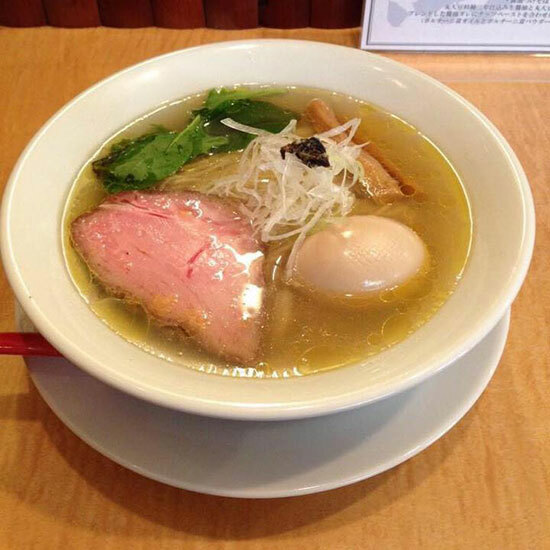 Northern Tokyo's Soba Noodles Tsuta is the world's only ramen restaurant with a Michelin star. Serving up four menu options—soba/tsukesoba or ramen in a shio or shoyu soup base—the shop has been heralded as a game changer in its category. Now, for the first time, noodle-lovers outside of Japan will be able to taste Tsuta's stone-ground genius. Owner Yuki Onishi has announced he will open a new restaurant in Singapore. The new location will open in Singapore's Pacific Plaza on Orchard Road, this October. The space will seat 18 diners—and will offer more options than the original Tsuta, with a total of three soup bases: miso, shio, and shoyu—which incorporates three different types of soy sauces (one from an artisanal producer in Wakayama) in its recipe.